The ORTECO tracked drivers are capable of driving posts with greater precision due to their extra weight and maneuverability. 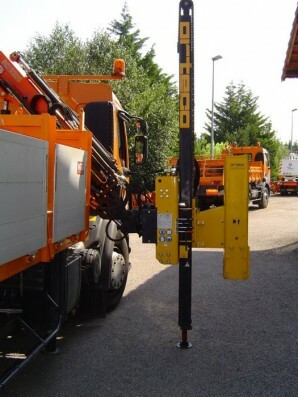 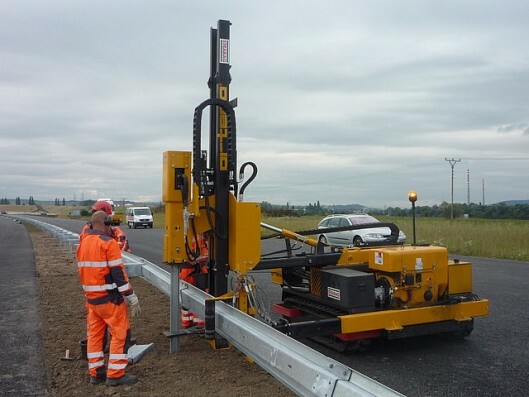 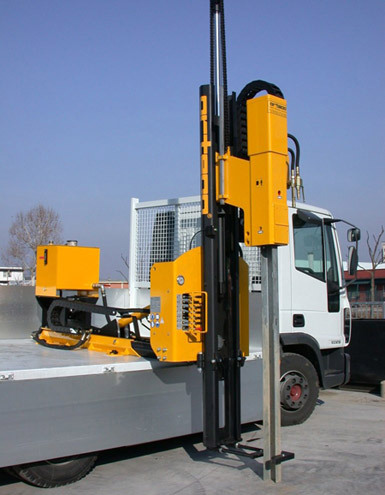 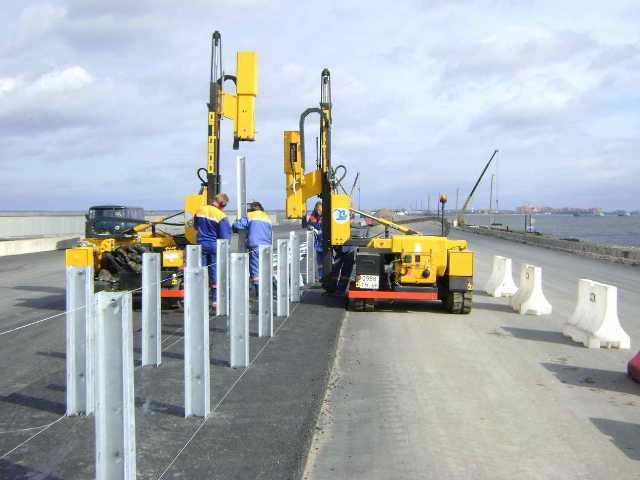 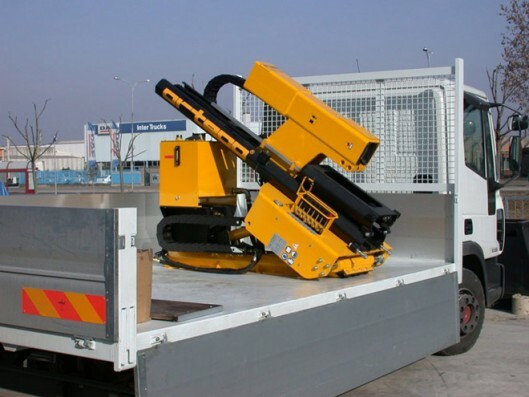 As the pile driver can be mounted on the back of a truck, we can offer our customers a machine which is ideally suited to all types of job. 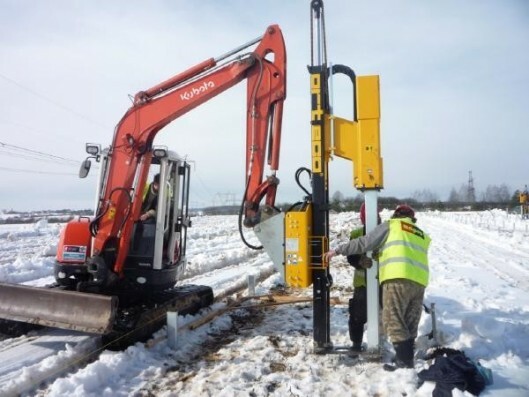 The new FEX 1000 model was created to meet the need to drive foundation posts for installing photovoltaic panels under difficult conditions, off-road and with steep gradients: a situation often encountered when working on photovoltaic installations. 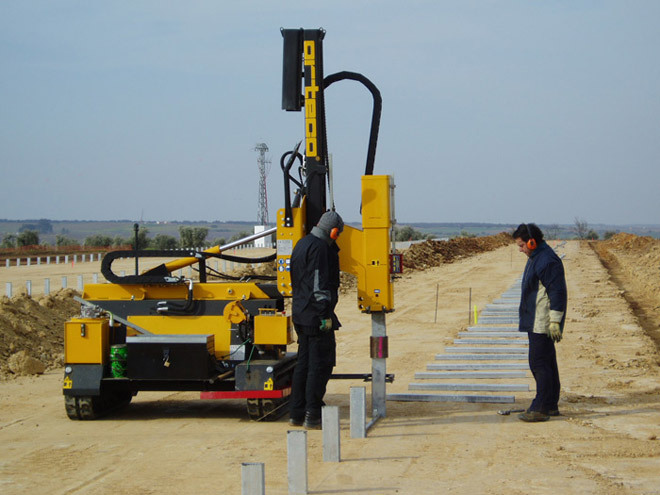 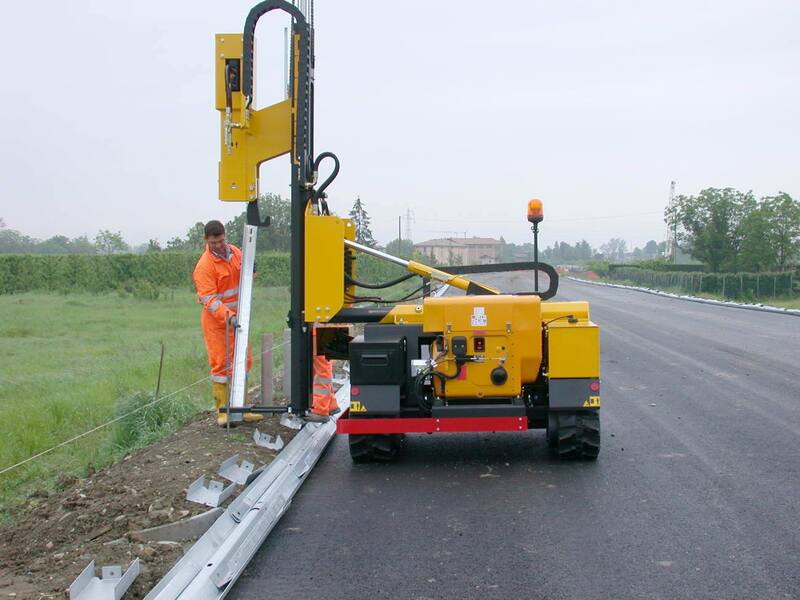 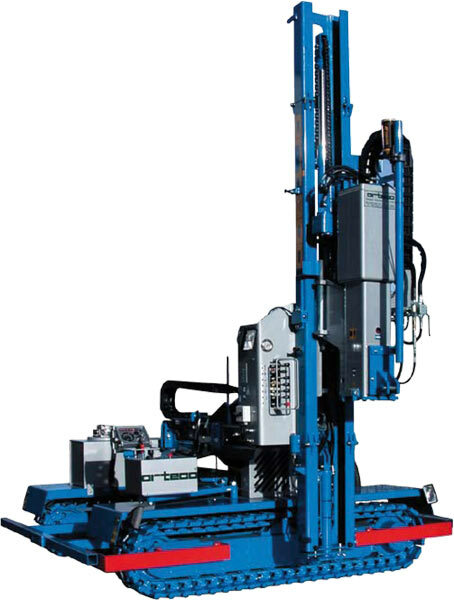 This solution has a larger crawler with a length of 2500mm and width of 200mm, with a hydraulic device that extends up to 2700mm. 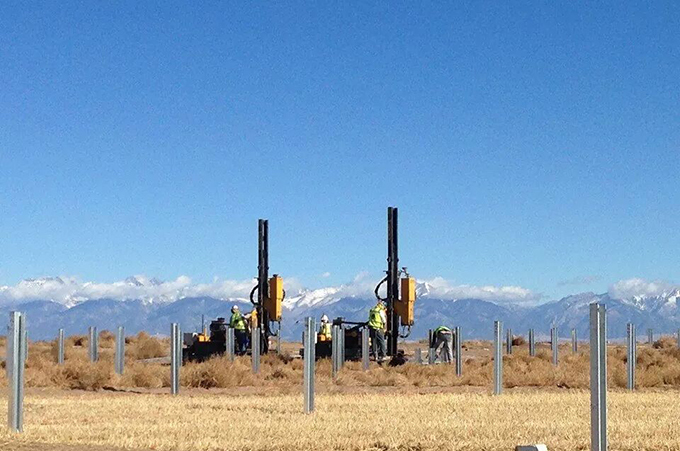 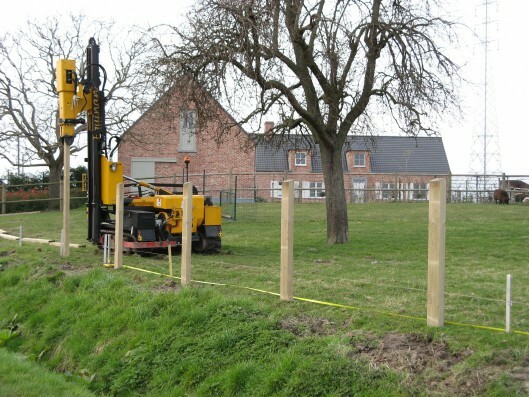 This solution gives the pile driver greater stability when operating on slopes.